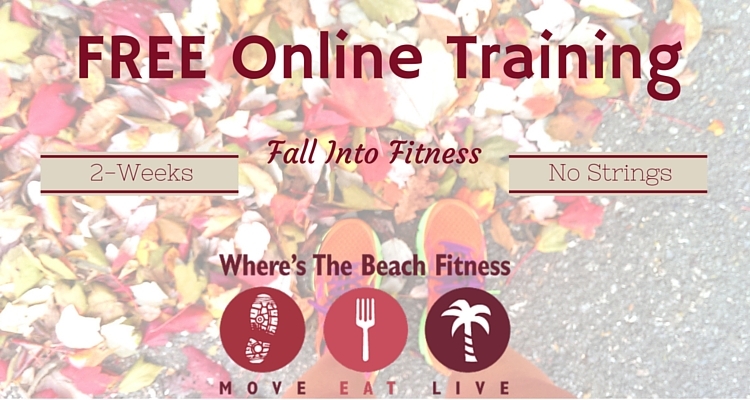 Have you ever thought about using an online personal trainer? Had some doubts? Now’s your chance to try it out for FREE with no strings attached! Well, one string – space is limited! With this 2-week, no obligations, FREE trial, you have the opportunity to find out what online personal training is all about. Not only do you get the workouts, you get videos and 2 weekly email check ins for accountability. This is truly an opportunity you don’t want to pass up! Is online training isn't for everyone? Honestly, no. So, how do you know if online training is for you? If you think online training might be for you OR you want to test it out, now's the time to try it out for FREE. But, spaces are limited! What do you need to do next? Just sign up now through October 14, 2015. On October 18, I will send you all you need to get started. I’m ready! Are you? Fine Print: 1) Not open to past or current clients. 2) Spots are limited. 3) When you sign up, you are acknowledging and accepting the waiver of liability.